A quick scroll on Instagram and you'll see the common denominator that completes every cool girl's outfit: an equally cool bag. In case you've been curious about trendy arm candy, we've rounded up 10 bags that are definitely worth investing in! Check them out below. The ber-months have rolled in, but summer never ends in a tropical country like ours. Hence, the need for bamboo bags—particularly Cult Gaia's Ark and Luna bags. They're the perfect accessory to complete your beach OOTDs and flatlays. This unassuming bag is a celeb favorite for a reason. It bears a minimalist design, has a clean silhouette, and is lightweight—the perfect choice for your next go-to travel bag! If you're looking for timeless elegance to carry everyday, these Carolina Herrera crossbody bags, available in bright and pastel hues, are all you need. It boasts of a sophisticated look, all thanks to its statement buckle detail. Mansur Gavriel started earning its popularity for its round leather totes, but the brand's fans now love it even more in its bucket shape (especially if it comes in a millennial pink color). The shape makes it super easy and convenient to stow away your essentials. Boxy and structured bags are gaining traction among fashion insiders, and we're all for it. It's a quick and easy way to polish any look! We remember donning beaded totes as part of our childhood dress-up games. And with everything retro coming back with a vengeance this year, we're also glad to see this fun, colorful bag making its return! The adult versions will surely make you embrace color and texture. Danse Lente quietly made its way into the bag collections of fashion girls like Camille Co and Liz Uy. And we can clearly see why they can't get enough of this brand. Its sleek design and minimalist aesthetic exude understated elegance. Thanks to Meghan Markle's fondness for this brand, more people are now appreciating its simple yet chic silhouette. Even local celebrity Sarah Lahbati is obsessed! Clearly, Strathberry's structured totes are poised to find home in the arms of fashion darlings. This Parisian brand might just convince you to hop on the boxy bag trend. 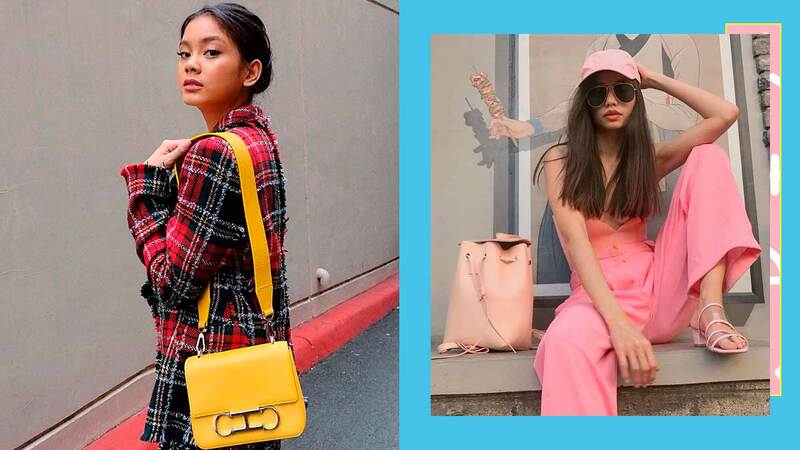 It's a known favorite of Heart Evangelista and Jinkee Pacquiao, and if you're an avid follower of runway trends, then you'd be glad to know that they have a bag made with PVC, too! We're ending this roundup with the biggest bag trend we've seen online so far: the Dior Saddle bag. Its newfound popularity definitely had us lusting over the bag's reissue. It checks all the boxes: logofied, retro-inspired, and customizable.